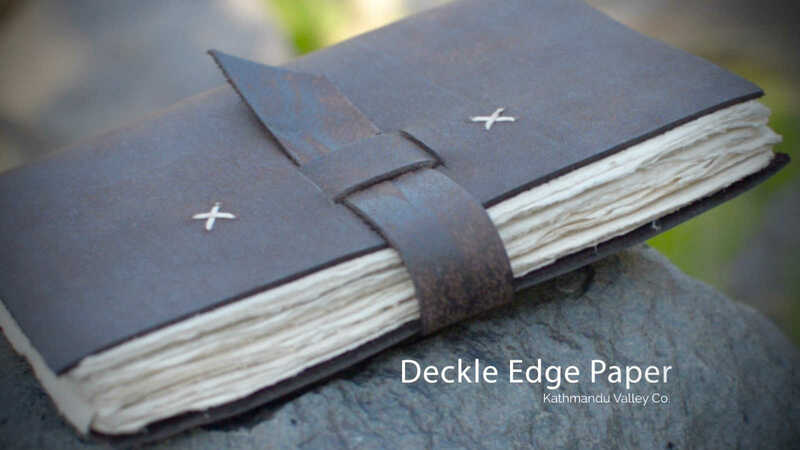 Nepali Traveler Leather Journal with Vintage Lokta Paper | Kathmandu Valley Co. The Nepali Traveler writing journal with tree-free Lokta paper follows a Nepalese paper-making tradition of over one thousand years. The oldest surviving Lokta paper is a religious text, a copy of the Karanya Buha Sutra Buddhist text estimated to be 1,000 to 1,900 years old. 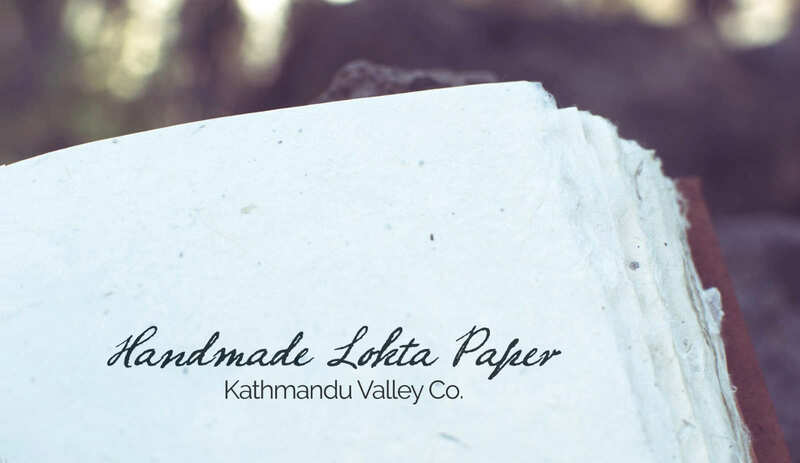 The paper is made from lokta bushes which grow on the southern slopes of the Nepali Himalayas between 5,250 and 13,000 feet. Natural black walnut husks are used to tan the unique water buffalo leather. 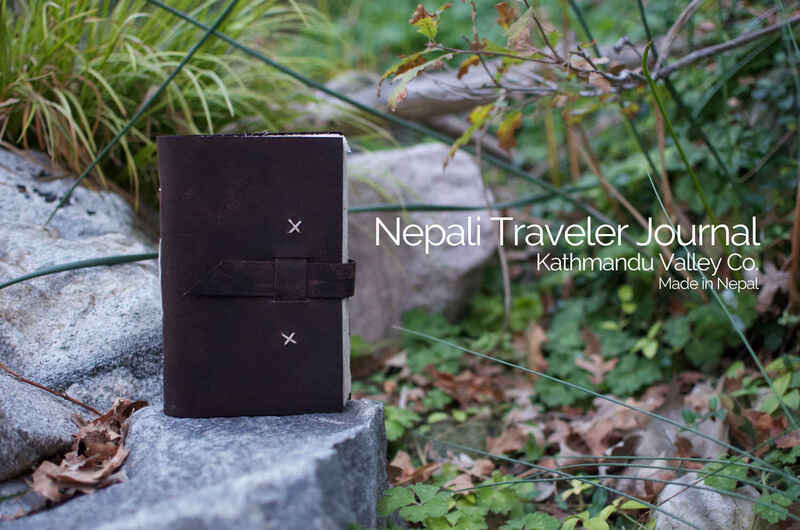 Big or small, the Nepali Traveler Journal is ready for any Adventure. 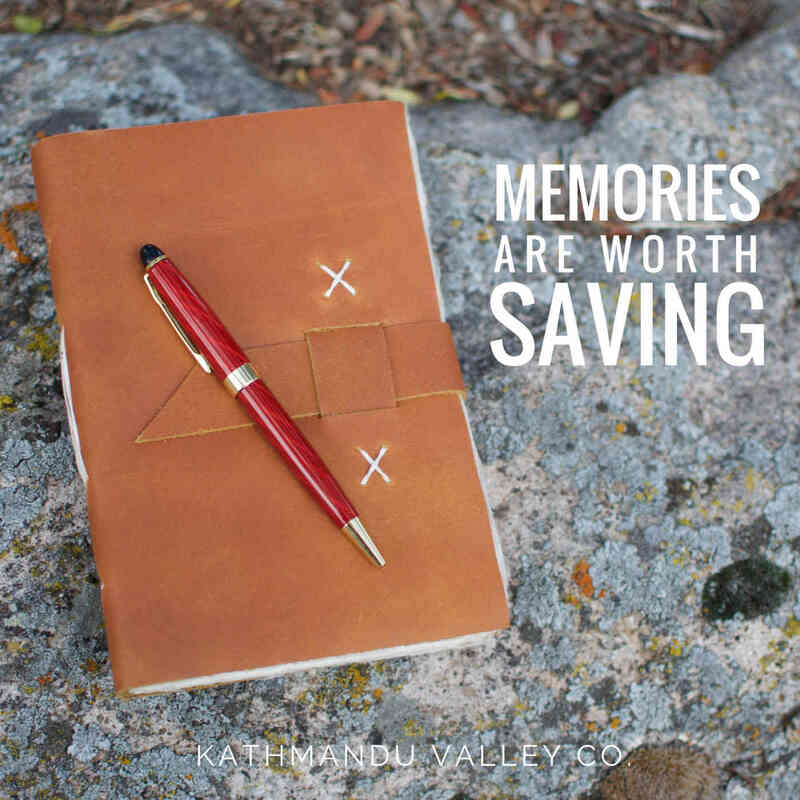 Use it for sketching, journaling, prayer book, or notetaking at home or in the wild. 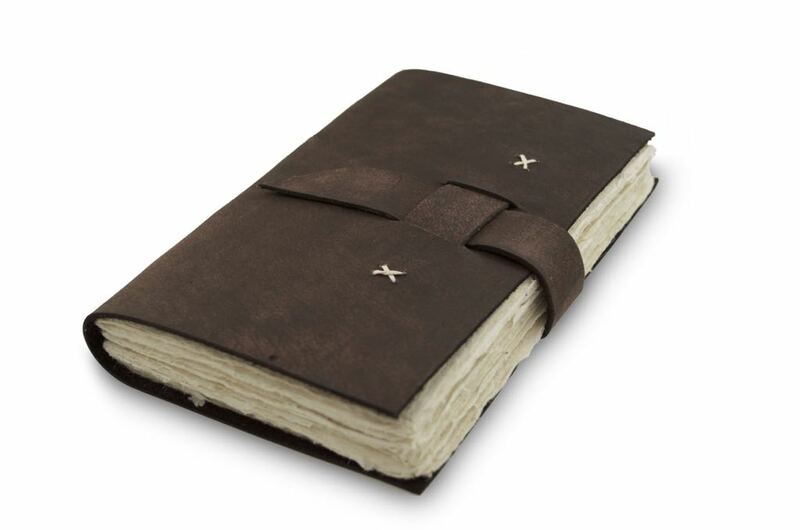 The leather for the new Nepali Traveler Caramel journal is vegetable-tanned using mimosa bark, creating the beautiful caramel color. Made by hand, the wool felt comes from sheep raised in the Himalayas of Nepal. Wool layers are placed by hand on top of each other and are washed with water and soap. This helps the fibers of each layer to combine into a stiffened felt. No dyes are used in the process. 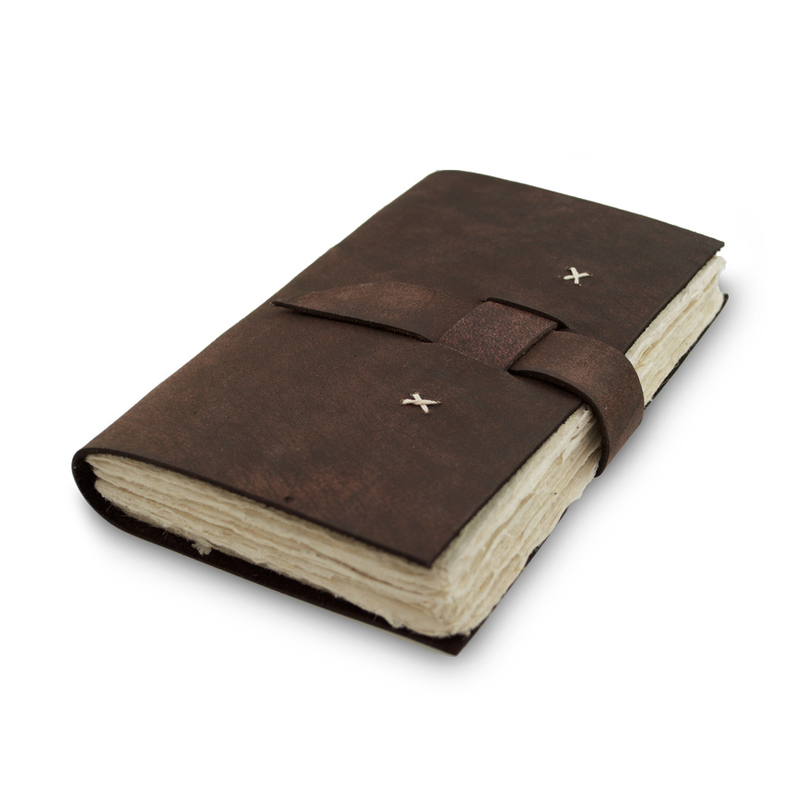 The finished gray color is made from combining wool from both black and white Himalayan sheep, creating a vintage feel to each journal. 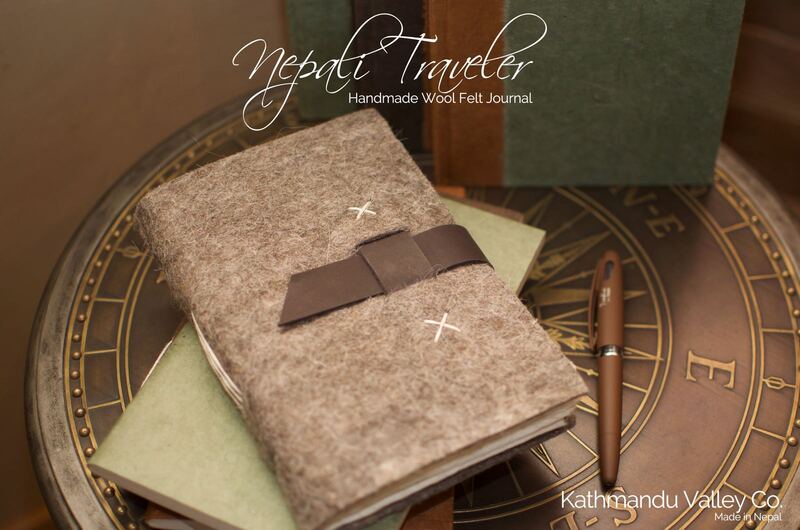 Include the Nepali Traveler vintage journal in your next adventure.